BRING ALL OFFERS! 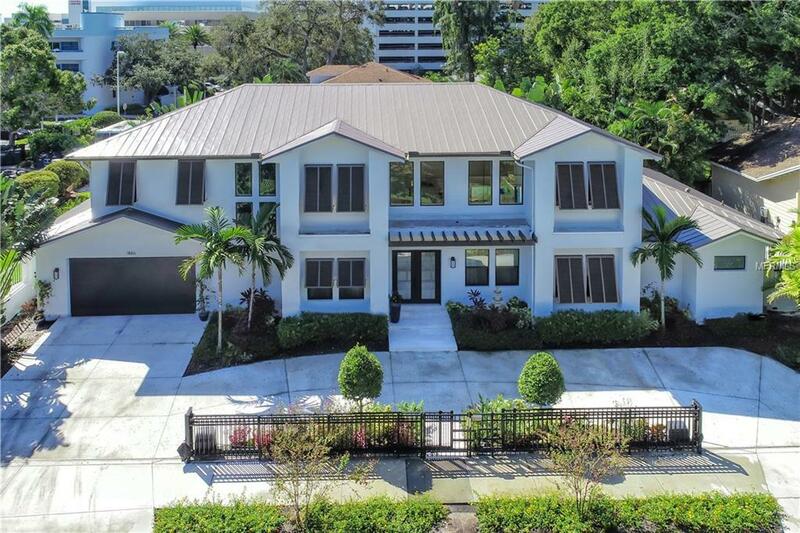 West of the Trail near downtown Sarasota, experience the art of living from this recently constructed residence masterfully crafted for indoor/outdoor enjoyment. This exquisite four-bedroom home embraces a coastal design aesthetic fusing clean-lines with natural elements and open spaces for epic experiences in entertaining. Host memorable soirees in the great room, sure to make a picture-perfect memento for your guests. A wine bar and fire feature enliven the atmosphere while soaring ceilings capture natural light. Pocketing doors embrace the outdoors creating a warm welcome for guests. 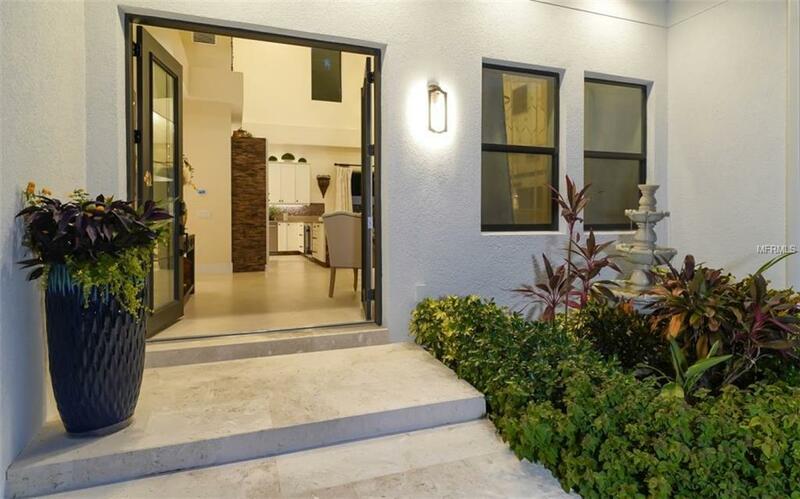 The graciously proportioned kitchen includes three sinks, Wolf and Sub-Zero appliances, two Allavino wine refrigerators, gas cooktop, plenty of counterspace and generous island, breakfast bar, and large walk-in pantry. Enjoy easy main level access to the master suite, sliding doors allow for a night swim. A free-standing bathtub sits centerstage while separate shower has multiple heads. Spacious master closet has a secret hideaway flex space used for extra storage, private den, art room, or fitness area. Split floorplan with three bedrooms upstairs for loved ones and guests. 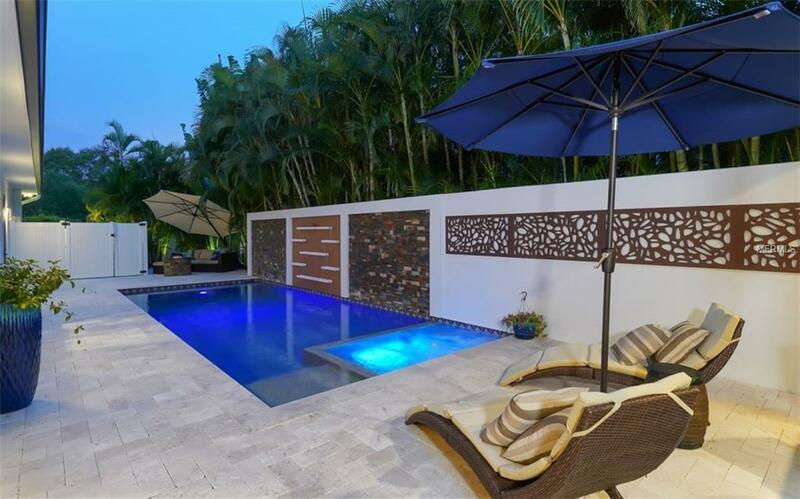 Let the Florida lifestyle take the lead on the sleek pool deck with spa, firepit, waterfall, skylights, cabana with misters, outdoor grilling, and lounge area. Whether relaxing, cooking, sunning, or hosting parties, thoughtful landscaping provides serenity and privacy. In the heart of Sarasota, everything at your fingertips.